ASSB performance has been very satisfactory and the absence of any break-in and intrusion of our engineering workshop and complex speaks by itself..
We are satisfy with ASSB security service..
Our appreciation to ASSB for providing very highly professional static guarding services to our department ..
ASSB is very satisfy security provider as reflected in no robbery and theft incident to our branch..
ASSB from our perception has delivered us security services considered excellent and to customer satisfaction..
Congratulation to ASSB for the successfully capture and arrest by your guards of the thieves within our neighbourhood..
" Your Security Is Our Responsibility "
Maximum security, safety, peace of mind, comforts and always in safe hand, Alifya Security Sdn Bhd is your choice. 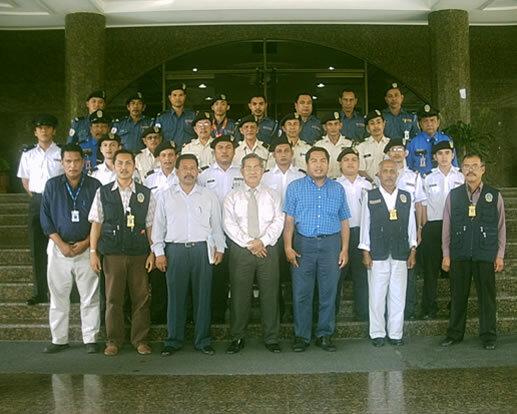 ALIFYA Security Sdn. Bhd (ASSB) was incorporated on 23 September 1998 under the Corporation Act 1965 with registration 429136-P as is required in Form 3. ASSB is a fully bumiputra owned company as reflected in the shareholders - Y.Bhg.Dato' Hj. Ismail Hj. Yusoff, Tn. Hj. Zaid Yahya and Ismadiyana Dato' Hj Ismail. The main aim of the company is to do business in security services and any security related activities. For this purpose, the license under Seksyen 2, Akta Agensi Persendirian 27/71 was obtained from the Ministry of Home Affairs . Furthermore, ASSB is also a member of the Persatuan Perkhidmatan Kawalan Keselamatan Malaysia (PPKKM) with membership number 0168. 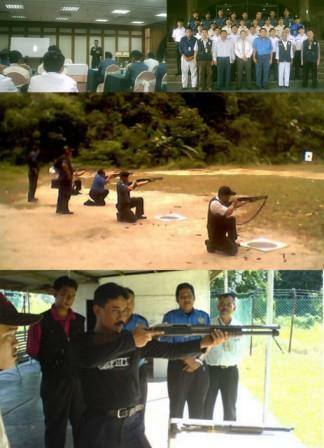 ASSB also has been a member of Dewan Perniagaan Melayu Selangor with the member registration number DS/0953/2001. The operation of the company is managed by management team supported by staffs with broad and deep experience in the security guarding service industry. Services offered by this company is as mentioned in the license issued by the Ministry of Home Affairs under Seksyen 2 (A & B) Akta Ajensi Persendirian, 1971.
Business Guarding Services and Private Investigation. "Your Security is Our Responsibility"
With the knowledge and experience that we have, we are willing to offer guaranteed satisfaction with our services in line with the latest modern security control system. We are very willing to hear any suggestion or ideas from customer in order to design a security system and improve the system.